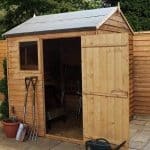 This shed benefits from an apex roof. 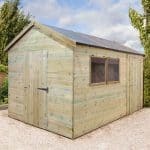 This adds to the space inside the building, bringing more headroom and the opportunity to store taller items of garden furniture and garden equipment and tools. 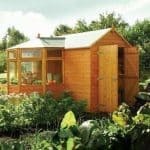 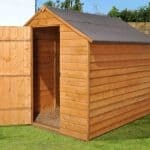 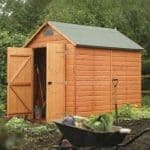 The shed has a solid sheet floor and roof, so you have a very durable shed in your garden. 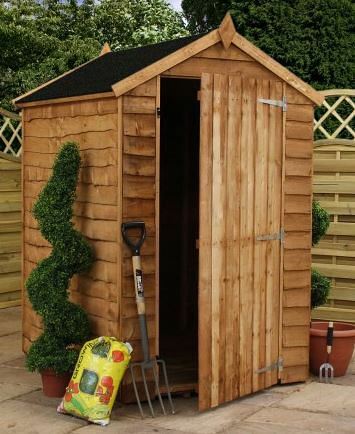 There is no window, so you have more security for the shed, and a turn button on the door adds more safety. 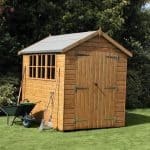 The building has a 10 year anti-rot guarantee, and this is further proof that it is designed to provide years of value.